Johan’s photographic career of 43 years started at the age of 14 with his own darkroom, developing black and white photographs from film. This has progressed to mastering the top Digital cameras and lenses. Johan’s photographic development skills encompass Photoshop, Aperture, Capture NX, Nik Software, Silver Effects Pro, Onone Software, DXO Pro and mainly Lightroom. He is a Lightroom Trainer and Facilitator doing one on one training, or training a Classroom of 10 people at a time. Since 2008 Johan has been taking photographers to Chobe, Botswana and Etosha for CNP Photographic workshops. There are numerous references to his photographic training ability from clients – from teaching the basic photographic skills to honing professional Lightroom ability. He assists photographers to take their skills to the next level. His passion and technical ability, coupled with patience, assists photographers to excel beyond their expectations. With Johan’s knowledge of Colour and Light he specialises in printing on canvas and other mediums. Johan has been a member of PSSA (Photographic Society of South Africa) for the past seven years and holds the distinction of being an Associate Member. He has participated as a judge for the PSSA giving him exposure to various photography styles. 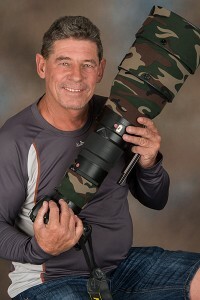 As a member of PSSA Johan won numerous National and International awards in Colour and Black & White in various fields such as Wildlife, Sport and Landscape photography. In 2014 Johan won the highest award in PSSA – a gold medal as Wildlife Photographer of the Year. Johan was runner up in 2013 for this award. Johan was chosen as one of the few Photographers to exhibit Wildlife photographs for the South Africa and China Exhibition. His prints were in the Bellville Art Exhibition in the Cape and The National Art Museum, Johannesburg. Out of thousands of entrants in the Sunday Times Wildlife Competition Johan won for the month of July and was chosen as the overall winner of the competition for 2014.